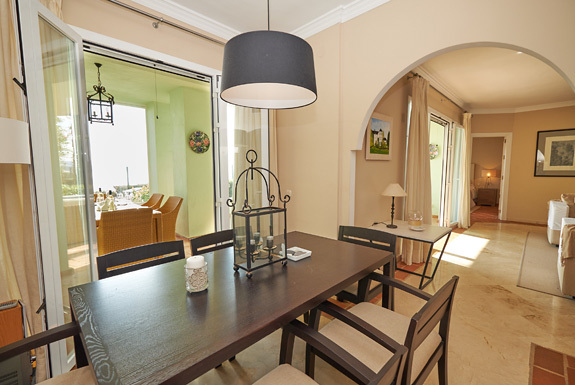 La Perla Beach Gaviota is a lovely 3 bedroom apartment facing the beautiful, blue waters of the Mediterranean ... all set in a colourful development that reflects the mixture of Spanish and Moorish influences of the region. 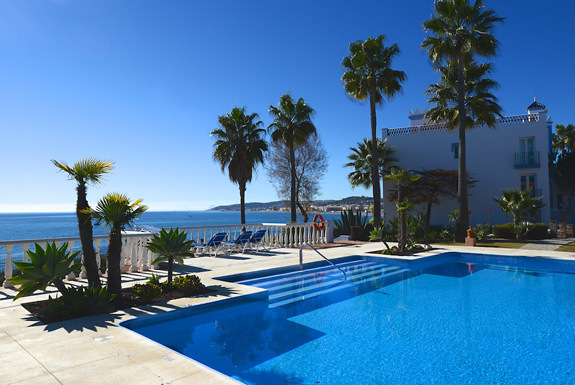 For you sand and sea lovers the beach and the inviting waters of the Mediterranean on Casares Costa is just a few steps away. From here you can walk to two great beach restaurants .... a great place to enjoy a relaxing lunch or maybe an early evening drink whilst watching the sun go down. 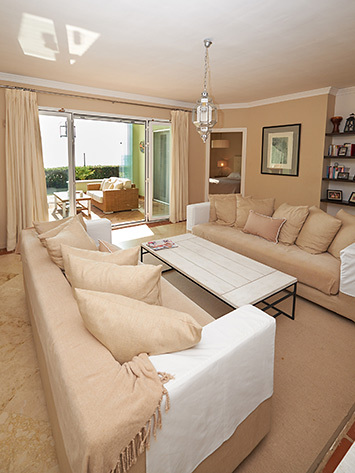 Ground floor apartment decorated to a high standard. 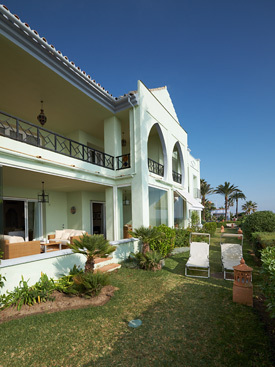 La Perla beach has a light and spacious feel and has an open-plan lounge, dining room and kitchen. 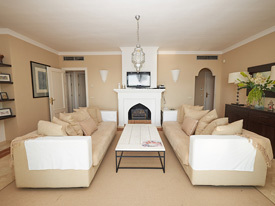 The apartment has been tastefully and elegantly furnished throughout. 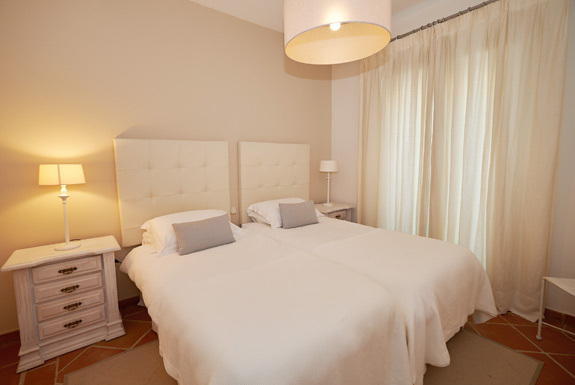 The master bedroom is located at the front of the apartment with views of the Mediterranean. 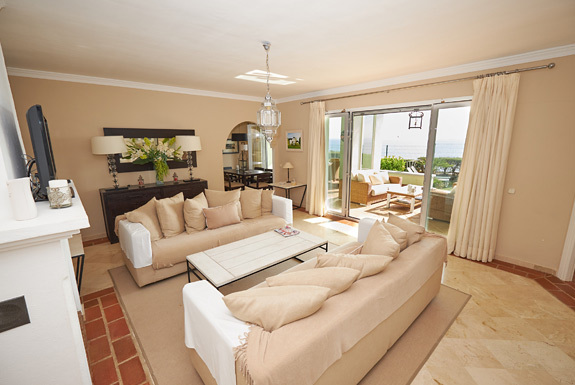 This room has direct access to the terrace at the front of the property. 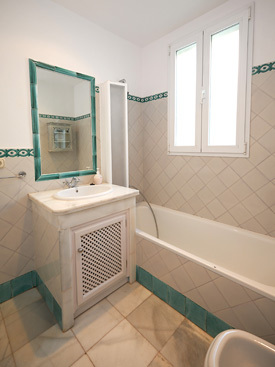 There is an an en suite bathroom with double sinks, a bath and a separate walk-in shower, wc and bidet. 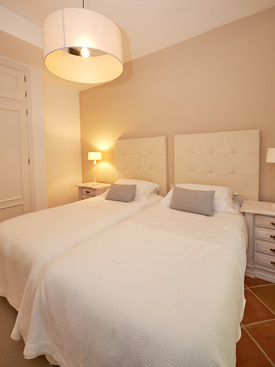 The two twin bedrooms are located at the back of the property. 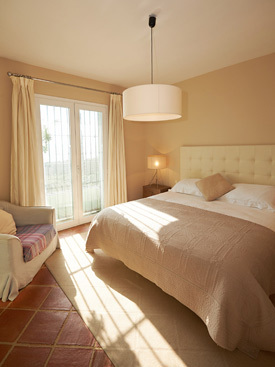 These air conditioned bedrooms share a bathroom with a shower over the bath and wc. In the air-conditioned lounge there are two sofas and a flat screen TV with English channels via a IPTV system and Wi-Fi internet. Next to the lounge is an indoor dining area with seating for 6. 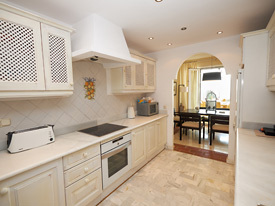 The kitchen is well equipped and is complete with electric ceramic hobs (stove tops) and oven, microwave, fridge/freezer, dishwasher, Cafetière, toaster etc. 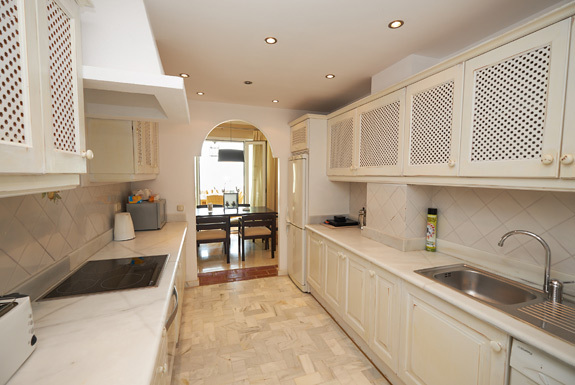 To the rear of the kitchen is a separate laundry room with a washing machine & dryer. 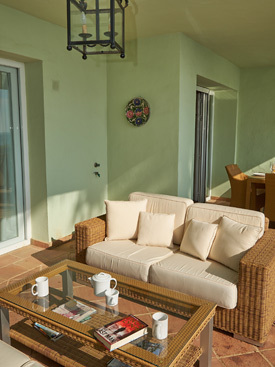 The lounge opens onto a lovely covered terrace with outdoor sofas & a dining area that looks out over the deep blue sea. This is a lovely place to enjoy breakfast whilst planning your day ahead or simply just relax reading a good book in the shade. 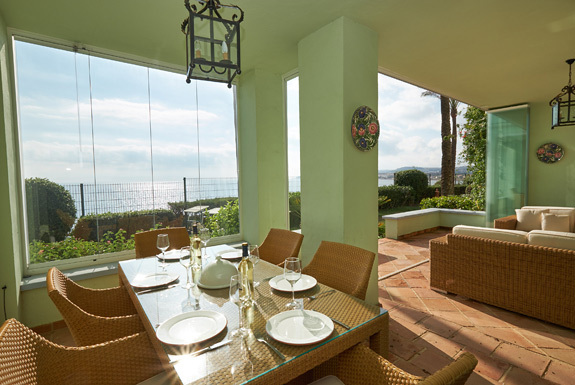 This large terrace has glass curtains so it can be enjoyed all year round. 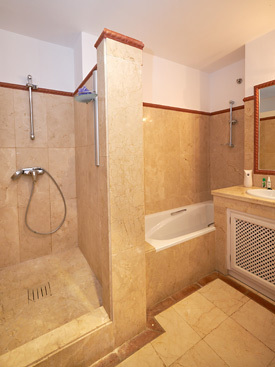 This property enjoys the benefit of secure underground parking, with the entrance elevator only a few steps away across the communal plaza. 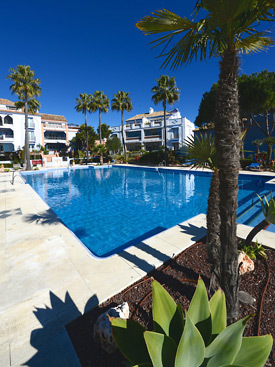 Surrounded by tropical gardens the large communal swimming pool is a relaxing place to enjoy a cooling swim. 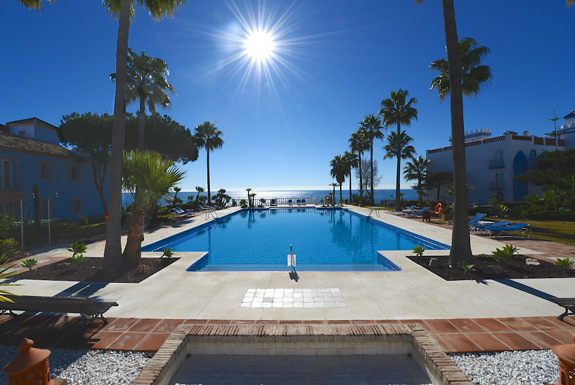 In the winter months the smaller of the outdoor pools is heated. Please note that as this is a shared pool we have no control over when the pool is or isn't heated or to what temperature ... so there is no charge for pool heating at this property. For you sand and sea lovers the beach is right on your doorstep ... this is a lovely long beach that doesn't get over-crowded in the high season. A scenic point of interest is the Torre de la Sal ... standing guard over this section of beach, this historic monument dates from the 16th century. 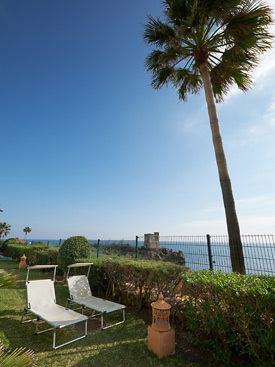 Spending time outside and making the most of the great Spanish weather is a big part of a Spanish holiday. The lovely covered terrace has comfortable seating & a dining table to enjoy the warm summer evenings; and with glass curtains this terrace can be enjoyed all year round. There are also two fold down sun beds for your use in the garden. 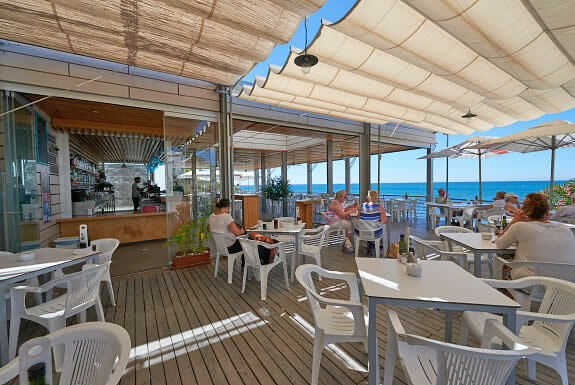 At La Perla Beach there are two beach bars to choose from: La Perla cafe & restaurant offers a selection of appetising meals and snacks and La Sal, which is very popular with the locals, ... fresh fish, paella & sangria! 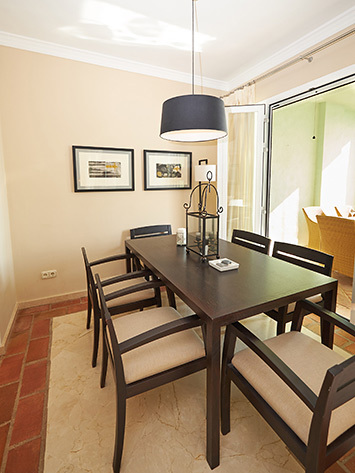 If you wish to venture a little further, within a couple of minutes drive (or a lovely beach walk) is the town of Sabinillas with a lovely promenade and a great selection of restaurants. Playa la Rada in Estepona centre is peppered with Chiringuitos (beach restaurants) and with its long promenade it is a lovely place for an evening stroll while deciding where to eat. Also, the lovely old town of Estepona with its cobbled streets is is definitely worth a visit. 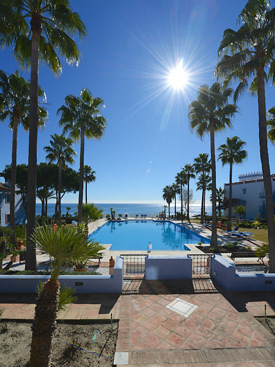 Estepona town is a very vibrant and Spanish place, it is packed with shops, tapas bars, restaurants and has beautiful squares perfect for watching the world go by. 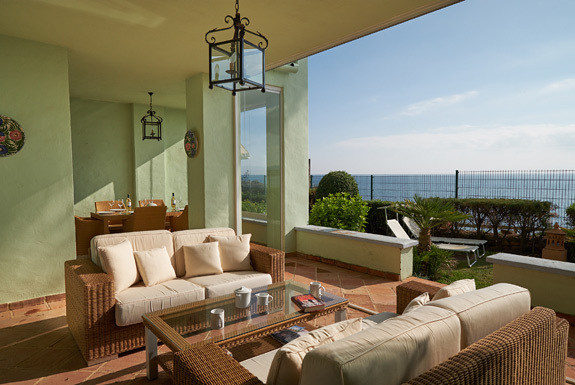 "We had a great holiday, apartment was lovely and spacious with great views out to the sea. This is our third time booking with you and as always the accommodation was fantastic. Look forward to booking again, hopefully soon."